I feel like the instant pot is taking over everyone’s kitchen these days. Almost every time I am on social media I have friends asking for people’s favorite instant pot recipes, so I have decided to make one of mine own! This year I have resolved to change my diet to one that is vegetarian. 2019 is the year of growth for me, and one can only grow when out of their comfort zone, and vegetarianism is definitely out of my comfort zone. I have also chosen other life goals to help me push boundaries in my life to help me grow spiritually, physically, and mentally. With all that to say I came up with a vegetarian/vegan instant pot quinoa recipe! I love quinoa, more than rice, I love the texture and how versatile it is. I love that it is a whole grain containing quite a bit of protein, which is nice when considering a vegetarian diet. You can do so much with quinoa, it just blows my mind, but today I made a Hispanic inspired quinoa recipe that I hope you enjoy. Press the rice/porridge button and set the timer for 10 min. Add the broth, oil, then quinoa and mix. Add all the seasonings and the bell pepper. Turn the lid and lock the vent and let it run! When the time is up let the steam come out naturally for 5 min. Open the vent and unlock the lid. PS this makes a lot, at least 6-8 servings depending on how much you eat. PPS you can this dish using just a pot and water by following the directions on the back of you quinoa package! 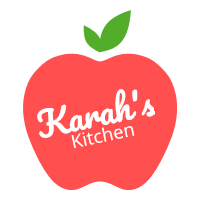 My name is Karah, and I want to share my love of cooking with the world; to show people that cooking can be easy, fun, creative, and enjoyable. Before and after! I feel so much better after my hair cut! I've had the same hair cut for 3 years now and needed a change! I'm happy with it for sure!